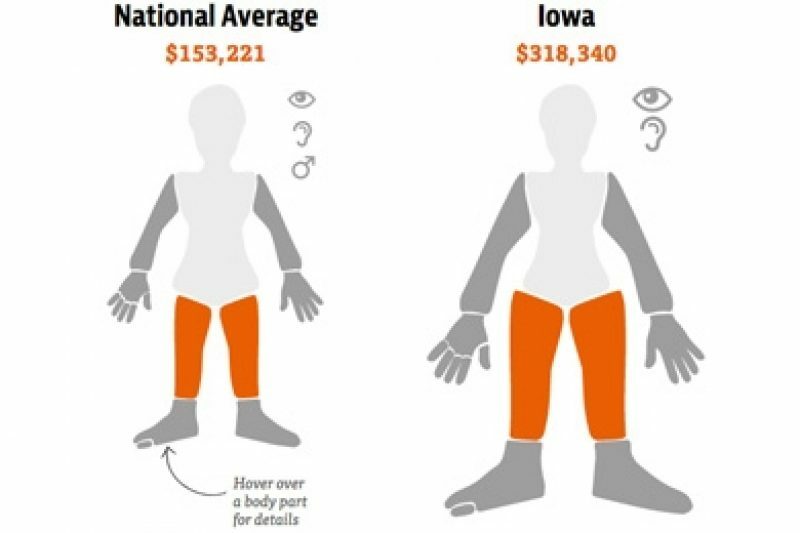 For the interactive graphic Workers’ Comp Benefits: How Much is a Limb Worth? ProPublica researched laws for all 50 states, the District of Columbia and the Federal Employees’ Compensation Act to calculate the maximum benefit injured workers can receive for the total loss or amputation of various body parts. Researchers then checked their calculations with state officials, attorneys and judges in those states. The benefit, often known as “permanent partial disability,” is in addition to temporary wage-replacement benefits and is intended to compensate workers who’ve suffered severe injuries, but can still work in some capacity. (Note: Permanent partial disability is only one part of a larger system and states may be more or less generous in other aspects.) Because these are usually the maximums, most injured workers receive less. Depending on where you work, your compensation for the same injury could be drastically different than in other states. Explore the full interactive. Each state has its own formula for how to calculate compensation. 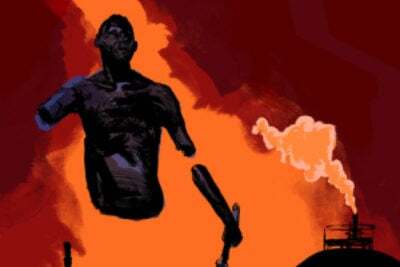 Most are based on decades-old benefit tables that assign a certain number of weeks of compensation to each body part. Doctors rate what portion of the injured body part is impaired. Insurers then multiply that rating by the number of weeks in the law for that body part and then by a portion of the workers’ wages up to the state maximum. So if a worker in New York, who makes at least $65,000, suffers a 10 percent permanent impairment of his arm, the calculation would look like this: 10% x 312 weeks x two-thirds of the worker’s average weekly wage at the state max of $808.65 = $25,229.88. A handful of states rely on one of four different editions of the American Medical Association Guides to the Evaluation of Permanent Impairment. The volumes, which assign a percentage rating to nearly every type of injury, outline, for example, that the loss of an arm equates to a 60-percent whole body impairment while a leg equates to 40 percent. In these states, compensation is calculated by multiplying the impairment rating by the total number of weeks assigned to the body, and then multiplying the result by a portion of the workers’ wages. A small number of states employ even more complex formulas that aim to account for other factors such as age, education level, occupation, lost wages and lifting restrictions. To determine the maximum benefit, ProPublica calculated a 100-percent loss of each body part for a worker earning enough to qualify for the state’s current maximum compensation rate. Where states assigned higher values for amputations, dominant hands or the removal of an eye (rather than blindness, for which workers are sometimes compensated less), the highest value was used. The benefit used for the ear represents the total loss of hearing in one ear. If no number is assigned to the body part, that doesn’t mean the state doesn’t compensate for it. It just means that no number was readily available or easily calculated. We calculated the national average by taking the median value per body part for all states and federal employees. The footnotes provide additional information about how each state's benefits work in practice. Designing rules that worked for every state was difficult because of the variations in each system. For the most part, ProPublica tried to present values without adjustments for age, education or labor-intensive occupations. But in some states, the benefits couldn’t be calculated without selecting an age or other factors. This data involves more than 600 calculations relying on 52 separate formulas. If you notice any mathematical errors or have any questions or feedback about the methodology, please email [email protected].